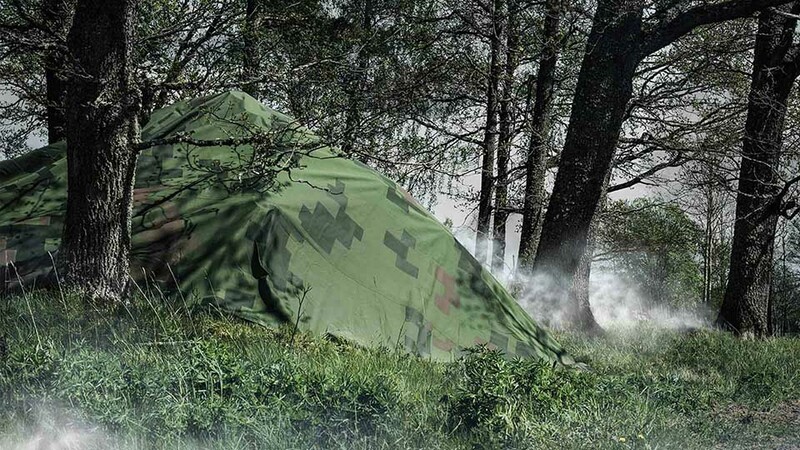 Saab Barracuda – a global provider of premium camouflage systems – asked for our support on a campaign to showcase their leading mobile concealment solutions in real mission scenarios. 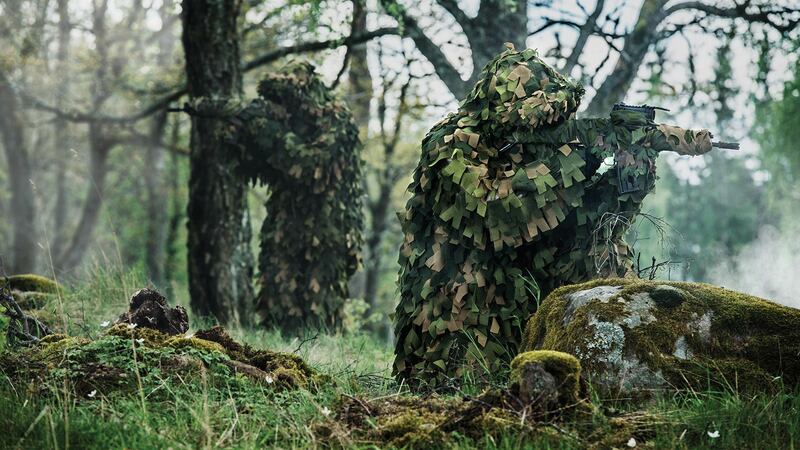 The team at Saab required an interactive app for high-profile industry events such as Eurosatory, an international defence and security industry trade fair that is held bi-annually in Paris, along with great images to demonstrate the camouflage solutions in an engaging way. As part of the campaign involved photography, we got straight to work in planning a photoshoot. 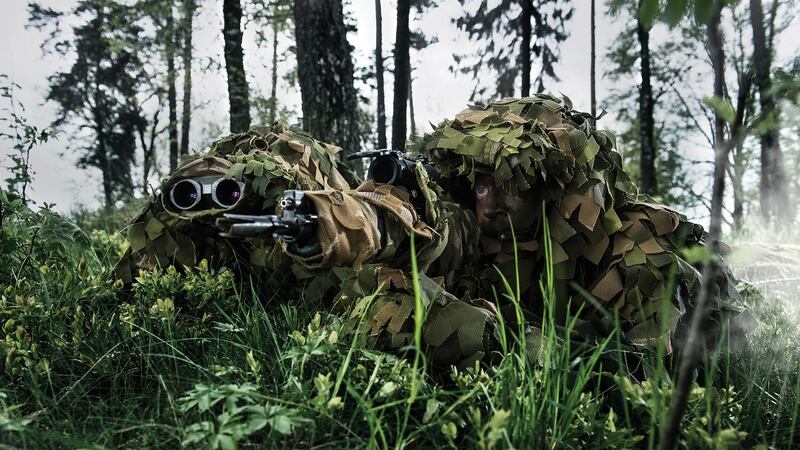 The shoot involved taking photos that would replicate real missions in both woodland and desert locations. 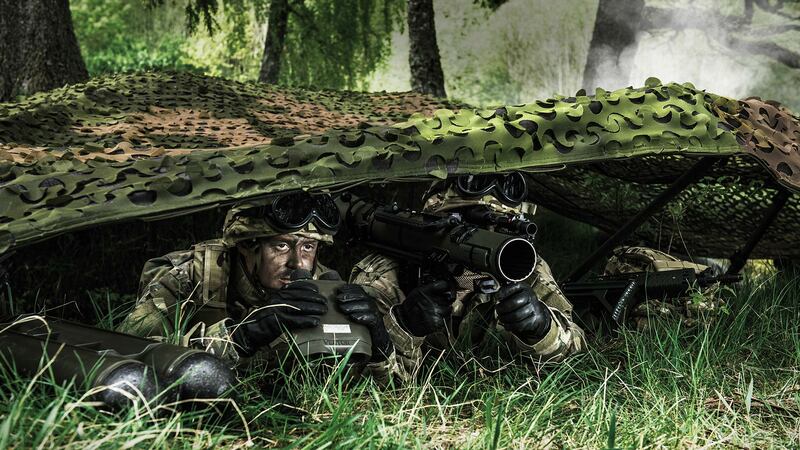 The images needed to feature Saab’s products, including vehicle MCS, SOTACS, Camosphere, ULCAS and ARCAS, along with both studio and portfolio shots. We headed out for a two-day, dawn-till-dusk photo shoot in the heart of Sweden. 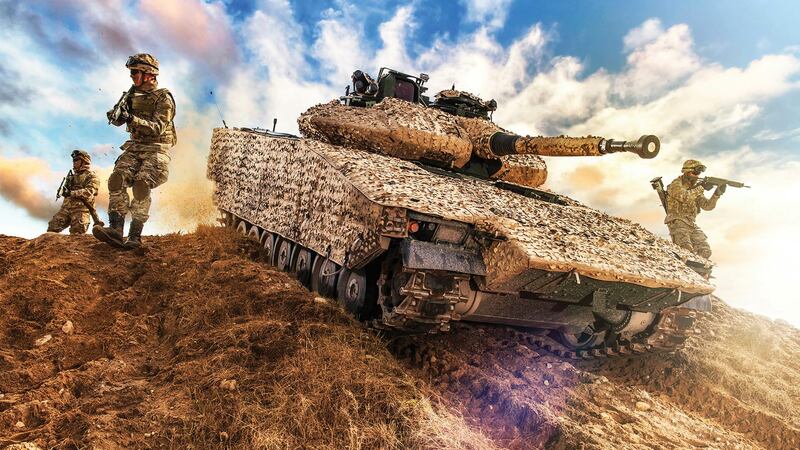 Advance planning was vital to ensure we captured everything we needed in a short amount of time, including working out the exact detail of each scenario and guaranteeing the necessary military vehicles would be available to use. The weather wasn’t fully on our side – it’s not easy to make a woodland environment look like a desert when it’s pouring with rain. But with good preparation and by adjusting the schedule, our creatives worked around the weather to ensure they had every photo needed by the end of the trip. Meanwhile, our team back at the studio quickly finished artworking the high-grade images. Alongside this, we created brochures and data sheets, adverts for both print and online, and a master sales presentation. All were well received, and the Saab team were wowed by the manipulation of the desert photographs. These images then went on to be used in the next stage of the project – the interactive app. When it came to the app, our team of designers created a stylised 3D low poly environment, ensuring that the app would be quick and easy to update over time – creating a valuable, evergreen asset for the event team. It was vital to ensure that the app was both responsive and worked smoothly on older mobile devices, so we optimised the supporting images and videos, meaning that the app could be used on both current and legacy iPad models. We worked efficiently to create an end product that was high quality and easy-to-use. 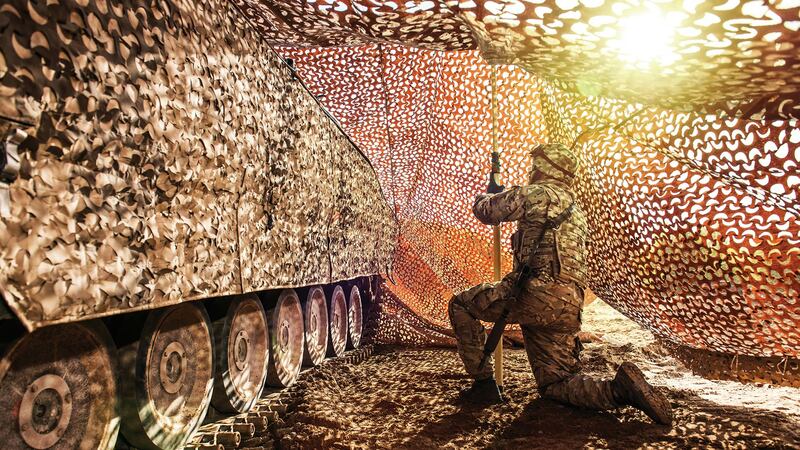 The interactive app enabled users to drag camouflage solutions over various assets such as vehicles and aircraft, to see how they adapted to different terrains and scenarios. By allowing the end-user to be fully immersed in the product capabilities, the app experience can be customised to meet the individual’s bespoke needs, whilst encouraging further exploration of the products. 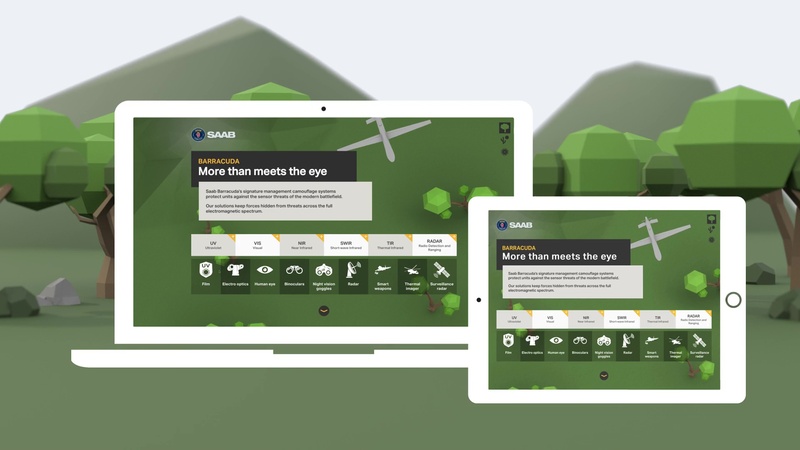 Saab Barracuda now has a fully interactive app to demonstrate the capabilities of their world-leading camouflage solutions.